Read the first edition of our new magazine 'Passion'! 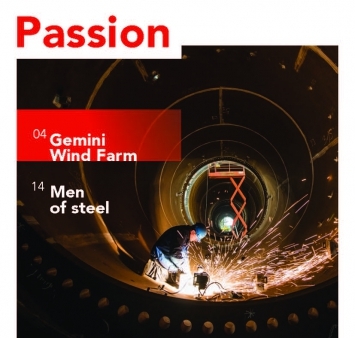 Twice a year, in our new magazine Passion, we aim to give you a glimpse of our recent projects in the area of Offshore Wind, Offshore Oil & Gas and Civil & Industry. This first edition is focused on the Gemini Wind Farm.